La Selva Tree Care | A Division of Copacetik Inc. La Selva Tree Care – A Division of Copacetik Inc.
We provide all aspects of tree and landscape services. Our customers are important to us. Our tree and landscape specialist can help advise, plan, and design, turning your ideas into reality. We take pride in our work and strive to provide top quality results. Welcome to La Selva Tree Care! 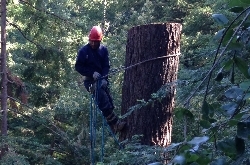 A division of Copacetic, Inc.
La Selva Tree Service is a fully licensed and insured, owner-operated tree and landscape company located in the center of the Monterey Bay area, serving the Monterey, Santa Cruz, San Benito, and Santa Clara counties with quality work since 2002. We have over 30 years combined experience in professional tree and landscape care. 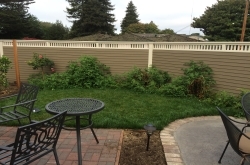 Our experienced staff are personable, approachable, and offer a complete range of arbor and landscape services — from difficult tree removal to mowing your lawn. Our goal is to provide you with high quality tree and landscape services to satisfy your needs! 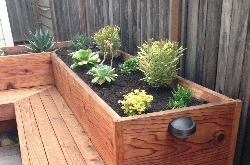 Contact La Selva today for a free estimate and consultation!